POMA recognizes the critical need for a strong partnership between industry and media and is focused on bringing them together to ensure the outdoor story is told fairly and honestly. Corporate Partners gain far more than access to journalists from POMA. Take a look at the myriad benefits of membership. Access to Vital Media — POMA’s media members are renowned, traditional outdoor sports journalists who are focused on fair and honest coverage of hunting, shooting, fishing and trapping. POMA’s Corporate Partners (CPs) have direct and unlimited access to these stellar communicators. Corporate Partner Advisory Council — Corporate Partners have a voice in POMA, thanks to the Corporate Partner Advisory Council and a seat on the board of directors. The council is led by the CP board member, hears ideas and concerns of CPs and develops proposals for consideration by POMA’s board of directors. Corporate News Delivery System — Using a real-time, interactive, online posting system, Corporate Partners may post press releases with images to the membership and public. Each post simultaneously shows on the website’s home page with a link and teaser to the news story. Money Line — Money Line allows anyone looking for journalistic works or to engage industry professionals to post job opportunities and market listings that are emailed to the full membership. Find quality content and imagery or highly qualified PR specialists, graphic designers, sales and marketing experts and more. Money Line is also archived on the member website. Biz Tips — Sent weekly to all POMA members, Biz Tips offers vocational and business-enhancement tips specifically focused on POMA members’ needs. New media, technology, marketing, finances, public relations — they’re all covered. Tips for both media members and Corporate Partners are included and all are archived on the member website. Free Member Mailing Lists — Free, unlimited access to POMA’s membership lists for mailing or emailing is provided to all members. Current, to-the-minute, membership lists may be downloaded directly from the member website. Online Membership Directory — Media Members and Corporate Partners also are easily found by searching POMA’s online membership database. Search using criteria such as name, company and state. Matching results are conveniently linked to the members’ profiles and contact information. Automated Membership List Segmenting — Need a list of members in the Southeastern U.S.? Need a list of journalists who cover saltwater fishing? Need a list of magazine editors? Jump on the POMA website, enter the list criteria and in minutes download or print out a focused membership list. Annual Business Conference — Members get it all at the annual conference: Hard-hitting business sessions, the ability to participate in interactive shooting and product-testing events and countless opportunities to network with Media Members and other Corporate Partners. Review complete details on the Annual POMA Business Conference. Partnership Opportunities — POMA offers a wide range of partnership opportunities to Corporate Partners who want to increase visibility among members and the public. From placement of special notices/ads on the website to taking center stage at a conference meal for a product launch, the possibilities are endless. POMA works with each partner to ensure the full benefit is realized. POMA Briefs — Members catch up on news, business tips and organization information via POMA’s monthly e-newsletter. The newsletter also is archived on the member website, enabling review of back issues. POMA<25 — Network with up-and-coming, young professionals through POMA<25. The program focuses on the needs of communications professionals under the age of 25 and mentoring these future industry leaders. POMA<25 provides a way for Corporate Partners and the next generation to build relationships now that will serve the industry for decades to come. POMA Website — The site is based on a content management system that allows for immediate access to news and new information, fast navigation and the ability of members to deliver and receive information quickly and easily. Teleseminars/Webinars — From marketing to Gen Y, to garnering editorial coverage, to utilizing new business technologies, POMA’s webinars and teleconference sessions are focused on business and income growth. Trade Partnerships — POMA is the first and only media organization to support the traditional outdoor sports industries by becoming a member of the National Shooting Sports Foundation (NSSF), American Sportfishing Association (ASA) and Archery Trade Association (ATA). Membership in these organizations has helped POMA establish partnerships that benefit POMA members, the three trade associations and the future of hunting, fishing, shooting and trapping. POMA is committed to an annual presence at these organizations’ trade shows. POMA/NSSF Grits Gresham Communicator Award; POMA Homer Circle Fishing Communicator Award; and POMA/ATA Fred Bear Archery & Bowhunting Award — These three prestigious awards were developed through partnerships with the National Shooting Sports Foundation (NSSF), the fishing industry and the Archery Trade Association (ATA). They honor journalists who embody the talent, spirit and commitment to their respective sports as defined by the awards’ namesakes. The awards are presented at premier functions throughout the year.  Pinnacle Awards — POMA’s Pinnacle Awards Program, presented by Mossy Oak, offers a state/regional outreach program dedicated to building a more professional outdoor media corps. The program encourages all industry communicators to belong to a professional media organization and promotes excellence in communications at every level. State and regional organizations may select representatives from their excellence in craft programs to represent their organizations in the international Pinnacle Awards Program. State/regional representatives compete at the international level and receive a one-year membership in POMA. Input Opportunities — POMA’s leadership wants to hear from members on a wide range of organizational issues. So, from time to time, the board of directors surveys the membership. In addition, all members are encouraged to serve on committees. By participating in surveys and on committees, members help to shape POMA, its direction and the services it develops. Real-time Profile Update System — Members can be easily located by using POMA’s update system, which ensures members’ profiles are always current. It’s easy to use and the system is connected to the application process, so new members’ profiles and contact info are immediately available. POMA IS WORKING FOR ITS MEMBERS! Let POMA work for you. Join today.